It may be hard to believe, but as of today there are 37 days until the first day of spring! I have been doing a countdown on Facebook with a different pretty picture each day. Check it out and share the love. I think it is keeping a LOT of people sane right now. Got your poppy seeds? Got flowers? We do! This is just ONE panel of ONE of our racks that are heading up to Hartford to the flower show next week. Stop by and say hello and stock up while the selection is at its peak. Want to take classes with me and some of my staff this winter? You’re in luck! I just finalized two amazing all day workshops: Design Day and Grow Day. Some folks have already signed up on Seedy Sunday and we will be bringing the class information to the talks I am giving this week AND the CT Flower Show next week. There is a limit to how many people we can fit in the church hall. Don’t delay, register today. Guess what? You can now register ON LINE. Man, are we living in the 21st century now. The details are below. 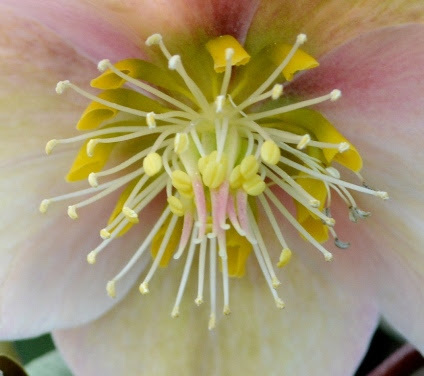 Have you ever really looked at the heart of a Hellebore flower? 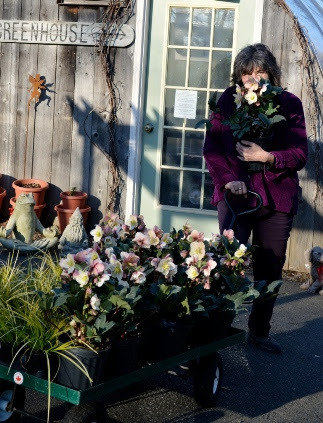 The Ct Flower and Garden Show is next week, February 19-22. As usual, we will have a double booth across from the Federated Garden Club area. 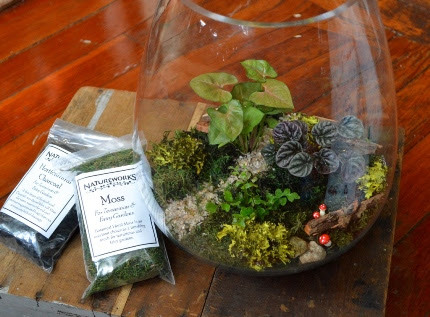 Our booths will be filled with seeds, bulbs, plants, and all new fairy gardening supplies, and freshly planted terrariums. Diane and her staff have been hard at work packing up and getting organized. I am also helping to design and plant one of the exhibit gardens this year! I used to do this for the CT Horticultural Society; I am happy to be back in the game. You MUST go to the flower show, it is a right of passage to spring. It is impossible to explain how wonderful it feels to walk into a giant hall filled with flowering plants and to smell spring in the air. It can get really crowded on the weekends. To avoid the crowds, consider going on a weekday if you can. Friday night is an excellent opportunity to see the show. I took advantage of a January day before the snows began and filled our cold greenhouse with perennials for the garden I am doing at the flower show next week. Come see what it looks like and say hi! Take heart, fellow gardeners. Despite the snow and cold, spring is really around the corner. If you pick witch hazel branches, they open in the house in four days. The days are surely longer, the sun is getting stronger. The way I can tell is that my staff is slowly returning to work. We have so much to do to prepare for our retail shop opening the first day of spring, March 20th. 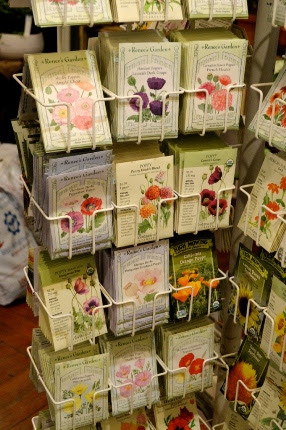 See you at the flower show, see you at the classes …. see you soon!